Check our full review of the BlackBerry Q10 phone. For more pictures make sure check out our BlackBerry Q10 gallery. Physical keyboards are emblematic of BlackBerry phones, so it’s no surprise that both have been in decline in the past few years. In the case of physical phones, this is a real shame. Sure, they either steal space that could be used to make the touchscreen bigger or add bulk to otherwise slim designs. But come on, they also make for faster and more accurate typing, an important feature for messaging fiends. Due to this, we’re tentatively excited about the BlackBerry Q10, a smartphone that looks more like traditional BlackBerry handsets but runs the newest BB 10 operating system. The Q10 is the phone that people will immediately recognize as being a BlackBerry thanks to the keyboard that sits under the 3.1-inch display and curved-corner design. The company formerly known as RIM is bringing forward the design elements that worked in previous generations while leaving behind unnecessary elements. For example, the row above the keys is now gone to make more room for the screen. Overall, the phone feels really good in the hand. It’s light as well, with a smooth back that will make it easy to slip in a pocket but won’t go flying out of your hand at the first opportunity. We also like the glass weave pattern and the fact that this material is strong and drop-resistant. We weren’t able to do any lengthy testing on the physical keyboard at the launch event, but it appears to be comfortable with well-spaced and well-sized keys. Speed typers will appreciate the light tactile feedback. The Q10 is narrow enough for one-handed use if you need it and wide enough for typing with two hands. Though the keyboard here is physical, the Q10 still utilizes the text prediction engine in BlackBerry 10. Words appear on screen just about the keys as you type, and users just tap to choose them. As it learns, you may be able to use the keyboard less. We found that reaching up to tap the words didn’t feel natural. That could change with longer use and we’ll be looking out for that when we perform our full review. BlackBerry 10 is beautiful on a bigger screen as we saw on the Z10. The Q10’s 3.1-inch display is significantly smaller, but the overall experience isn’t hampered. The OS looks good even when it has less room to work with, and all the good things about it – Flow, Hub, Balance – are still good. 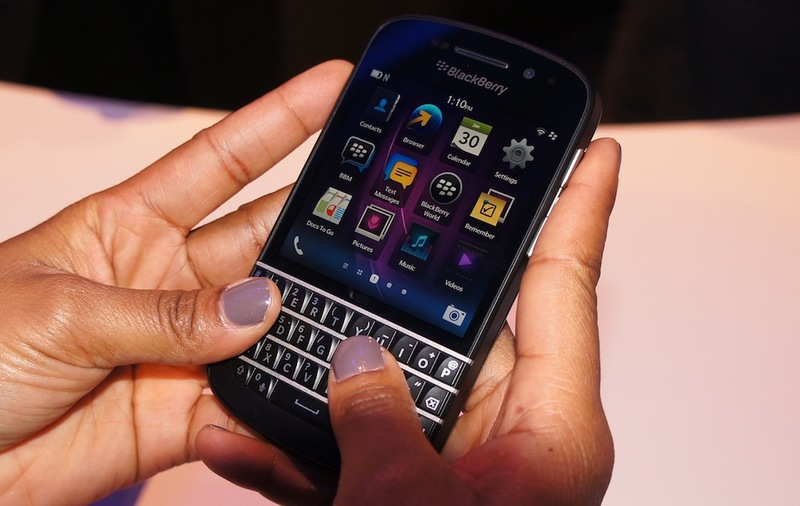 The BlackBerry Q10 won’t hit the U.S. until April, several weeks after the much anticipated Z10. For fans of the physical keyboard, this is probably the more exciting product, even if all the focus is on the touchscreen model. Or first impression is that the Q10 has just as good a chance to raise the prospects of the BlackBerry brand as the Z10. It’s solid and comfortable but new and exciting. 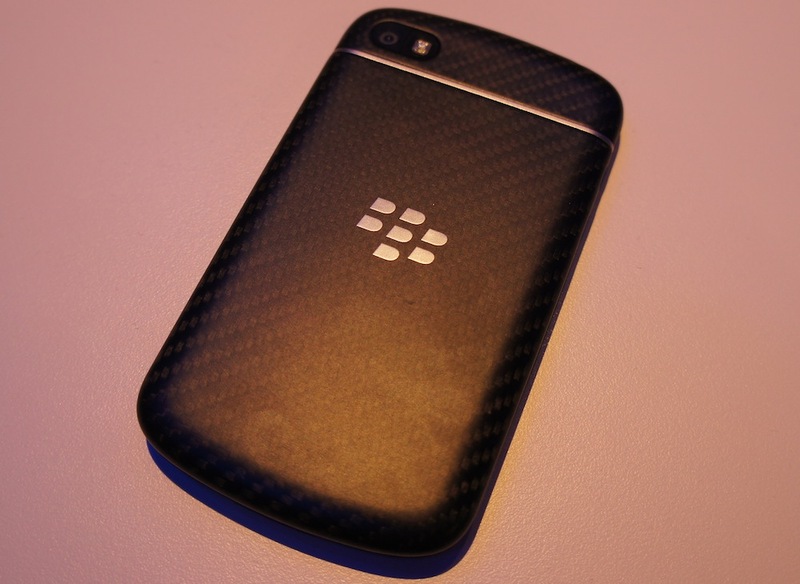 Hands on: BlackBerry’s Z10 is solid, but is it a savior?